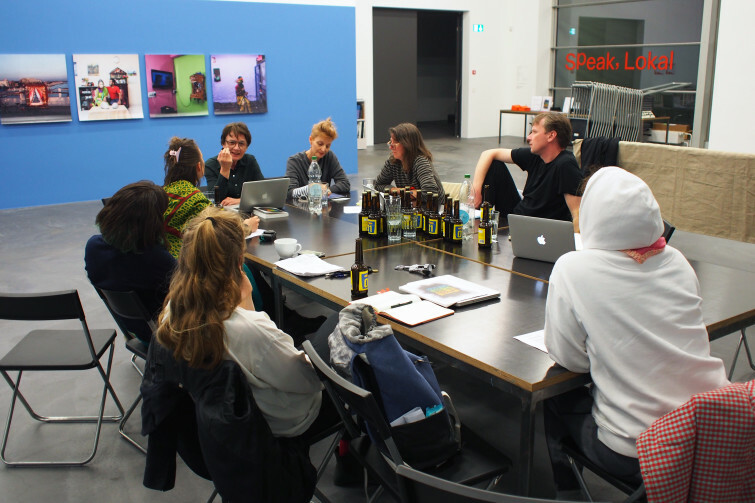 For this Theory Tuesdays session, the sixth of nine held at the Kunsthalle Zürich as a part of the exhibition “Speak, Lokal”, Stefan Wagner selected an interactive excerpt from Beautiful Trouble: A Toolbox for Revolution (OR Books, 2012). Since the breakout of the 2008 financial crisis, there have been many open calls in and for the arts to become more activist and political. Whatever we see these demands – for example the neo-liberal credo for a general mobilization of the individual – there seems to be a promise. A serious, activist task is raised: Can art become a more intense part of our comfortable and secure lives, an expression for our moral and political beliefs? “Beautiful Trouble: A Toolbox for Revolution” presents material, in an interactive way, for mobilization and change. It collects different voices and forms of actions, drawing on multi-perspectives of the topic art and activism.